These FAQs answer some of the more common questions we hear from newly-called lawyers. The answers will help you determine if you need insurance coverage (or whether you’re exempt) and the steps you need to take to get your LAWPRO insurance coverage in place. Professional liability insurance is designed to indemnify lawyers against the consequences of a lawyer’s liability for a client’s loss. For this reason, only lawyers in private practice are subject to the mandatory insurance requirement. Private practice, for the purpose of LAWPRO’s insurance program, is the delivery of professional services (including advice) to anybody who is not the lawyer’s employer. In general, lawyers in private practice perform professional services for clients for pay. Note as well, providing legal advice or help to family or friends, or providing free legal advice to pro bono clients also falls within the definition of private practice. Do all members of the Ontario bar have to purchase professional liability insurance? If you are engaged in private practice in Ontario, you will need to purchase coverage through LAWPRO. See below. If you are not in private practice and meet certain criteria, see Not going into private practice. If you will be working as a sole practitioner, you will need to complete an application online. (You’ll receive a mailing from us with instructions.) New lawyers can apply at any time after receiving a Law Society number from the Law Society of Ontario. While it’s important to apply promptly for insurance, you do NOT need to delay beginning to practise. You can begin the practice of law immediately while you wait to receive your number, with one exception: if you intend to practise real estate law, you must wait until your compulsory REPCO coverage is in place to do so. After the first year, you will be asked, each October, to renew your insurance for the following year. If you’ll be joining a firm, you may want to speak with the firm administrator or office manager before you apply directly, as there may be specific practice or payment options that need to be reflected on your application form. Not every lawyer in private practice pays the same premium. LAWPRO offers discounts to certain categories of lawyers (including part-time practitioners, and lawyers who practise criminal and/or immigration law exclusively). The base premium for the year 2019 is $2,950 plus PST. New lawyers receive a discount: Lawyers newly called to the bar in the current year receive a 50 per cent discount from the standard base rate in their first full year of practice. Additional discounts are available in the second, third, and fourth years (40, 30 and 20 per cent, respectively). These discounts reflect the risk profile of new lawyers. Because the maximum premium discount for any lawyer is 50 per cent, these discounts cannot be combined with other discounts. Some lawyers pay more than the base premium. 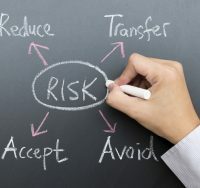 For example, there is additional premium required for the practice of real estate law (a higher-risk practice area, from a claims perspective). Also, lawyers for whom LAWPRO has paid claims within the previous five years may pay more for their insurance because of these prior claims. Not going into private practice. What kinds of lawyers are exempt from the mandatory insurance requirement? In general, lawyers working as in-house counsel, who are employed by the government, who work in education, or who work for a clinic funded by Legal Aid Ontario are exempt from the requirement to buy insurance. Lawyers who do pro bono work that meets certain criteria, or who are on temporary leave, may also be exempt. If I’m not going into private practice, can I just forget about insurance? No. The Law Society of Ontario requires that ALL members of the bar (not just those in private practice) confirm their practice status every year. This means that you must either pay for insurance, or file an application for exemption from the insurance requirement. LAWPRO’s insurance application, exemption application, and other relevant forms can be found (and filed) online. See lawpro.ca/newcalls for more details. I meet the general criteria for exemption, but later find myself providing legal advice to someone other than my employer, or handling a legal matter for a family member or friend? Anytime you provide professional services, you expose yourself to a potential claim. Even if you are not in full-time private practice, if you contemplate providing even occasional legal advice or services, you will need to purchase insurance coverage (there are a few narrow exceptions, including one for certain kinds of pro bono work). LAWPRO has created a series of Insurance Matters booklets to help individuals who feel they are exempt consider potential areas of exposure. 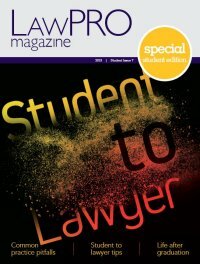 Check out these resources online at lawpro.ca, or get in touch with us to request copies. For more information, visit lawpro.ca/newcalls.